This acrylic tool allows you to piece pinwheels using 6-1/2″ squares of fabric. All you do is sew together squares! 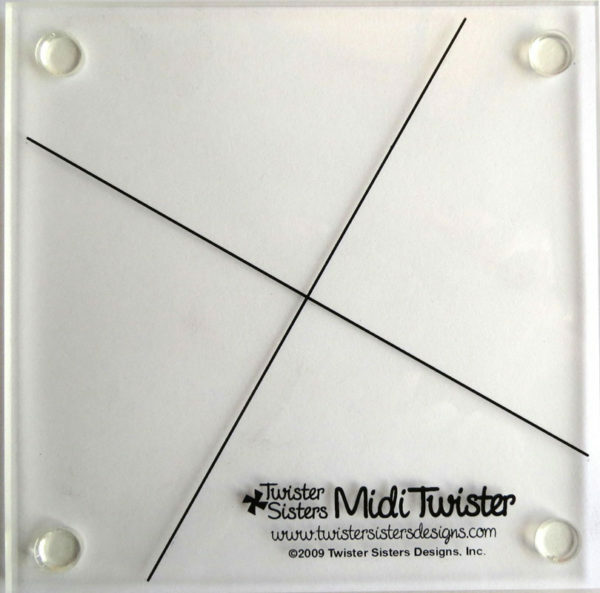 This great in between size makes pinwheels that are larger than those made with the Lil’ Twister and smaller than those made with the Twister. 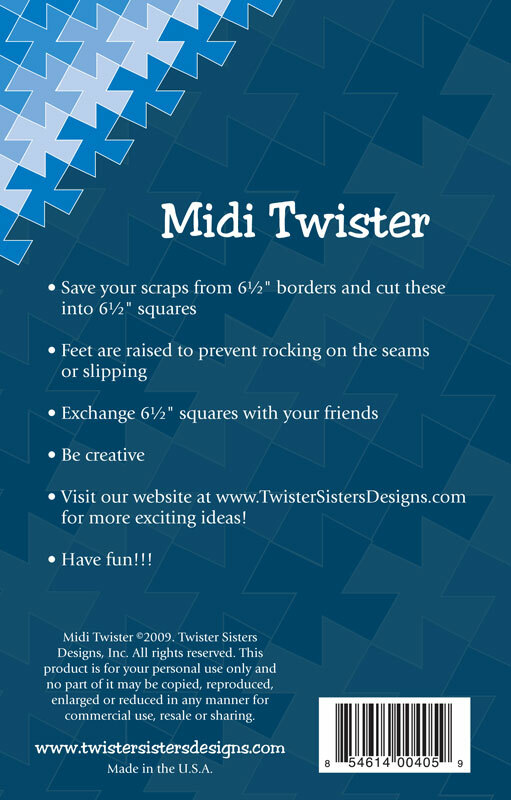 Perfect for throw/twin size quilts and other projects. 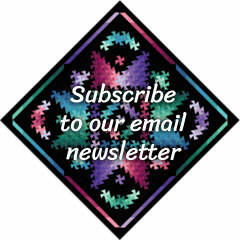 Product includes tool, instructions for use, and quilt pattern for 23″ x 32″ topper. 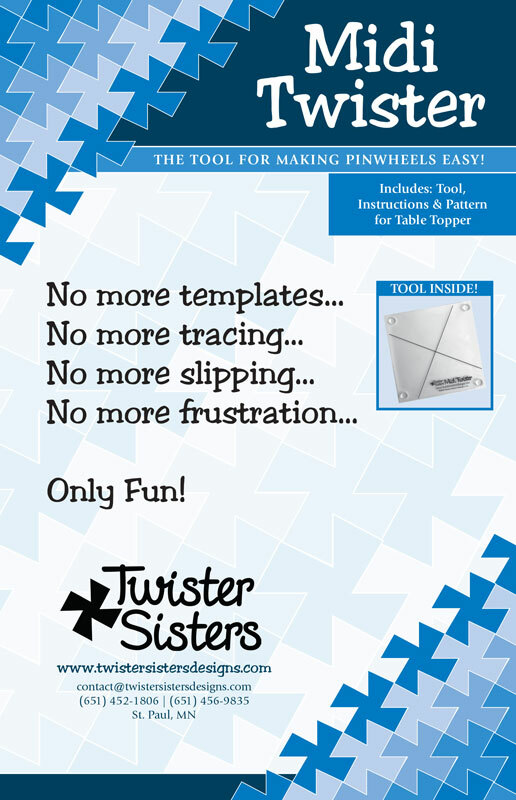 Twister Planner, TWS101, sold separately, $6.50 retail, is a helpful handy reference guide for the Lil’ Twister, Midi Twister, and Twister tools. 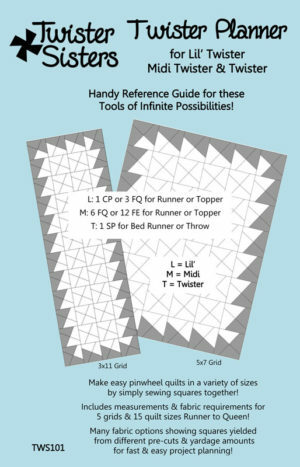 The planner includes grids, requirements, cutting instructions, and tips for 15 quilt sizes runner to queen to help you plan your own pinwheel quilt.